So Week 4 Run 3 in my schedule said “40 Mins Hilly”. 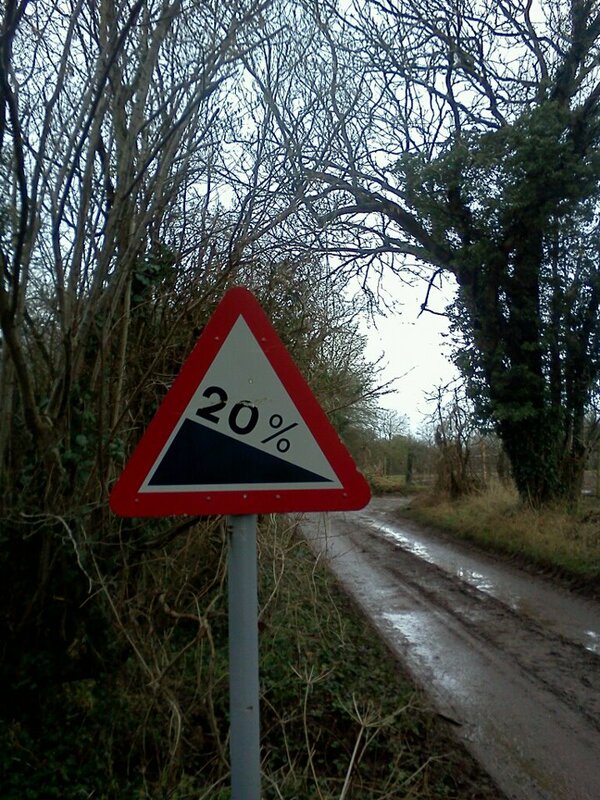 I chose this route – do you think that is hilly enough?? Pleased with 3.13 Miles in 33:50, as it really is a steep hill on the way back up. No more runs now until Sunday, when I face the notorious ‘Slaughterford 9’ race. That’s going to count as my Long Slow Run for the week, as although 9 miles probably isn’t quite long enough, I can guarantee it will be slow! Looking at the amount of rain we’ve had this week so far (coming down again now as I type) I’m thinking snorkel & flippers might be appropriate gear. Still, keep thinking life’s all about new experiences so really have to do this race. Its certainly the race that’s closest to home, and will certainly be an experience. Not necessarily an enjoyable one, however. Another new experience I’ve volunteered for is writing a race report for Women’s Running magazine. Not for the Slaughterford 9 (don’t want to put anyone off) but for the Bath Half Marathon in March. Sounds less muddy and less tiring than Slaughterford 9! I will return after the race and let you know I’ve survived … hopefully!